Would you trust your surgeon to operate if you knew he was impaired by drugs, Kirk Hardy asks? Would you allow a pilot to fly your plane after a night out drinking or the driver on the school bus to transport your kids home after knocking back a bevvy or two? The answer of course would be no – there’s simply too much at risk. But allowing employees to work in a high-risk, safety-sensitive environment while they are under the influence of drugs or alcohol is no different. 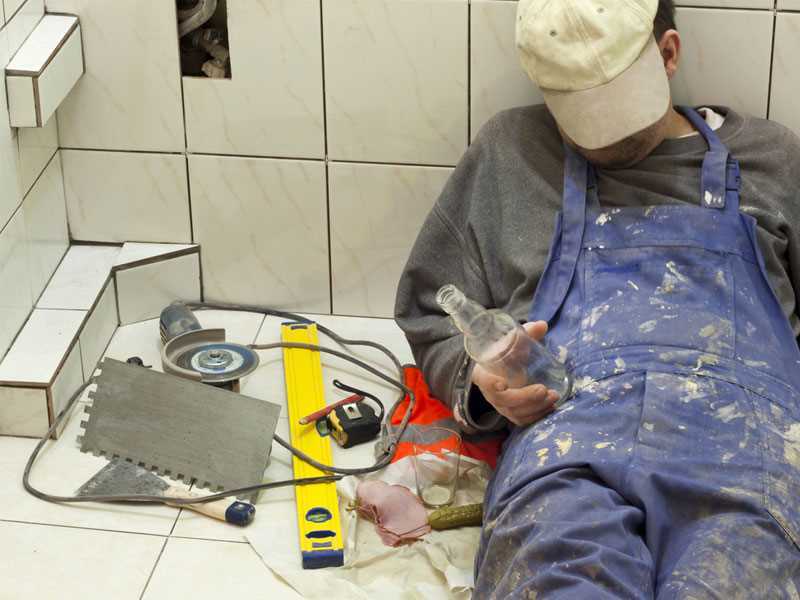 Under the Health and Safety at Work Act 2015, employers have a level of responsibility to ensure that workplace risks are well managed, and this includes not allowing employees to work while under the influence of drugs or alcohol. As an employer, if you are aware that an employee is impaired and fail to do anything to mitigate the risk, you may be liable if an accident occurs where someone is harmed or harms themselves. Unfortunately, identifying employees under the influence is not easy. The first step is knowing what to look for. The tell-tale signs include attendance problems, poor concentration, poor performance, behavioural issues, forgetfulness and minor accidents and mishaps being commonly made. But even when these clues are present, many employers and managers lack the skills and confidence to deal with delicate and potentially volatile situations that might arise from confronting an employee. If you don’t know what you are doing, a delicate and volatile situation can move rapidly from asking simple questions to laying the groundwork for a personal grievance claim. How do you fully manage the employee? How do you confidently move from suspicion to verification, proving they are, in fact, under the influence? And what do you do when a drug test is returned positive? Best guess and bluster won’t do. Added to this of course is the worry about reactions and repercussions, and the uncertainty about what next steps are, legal or otherwise, to deal with the current problem without creating new ones in the future. Even when you are confident you can spot an employee who is under the influence, could you detect if they were on methamphetamine or cocaine or marijuana? Dealing with someone under the influence of these different drugs calls for very different tactics. To manage a modern workforce that operates in New Zealand’s evolving drugs and alcohol culture requires ongoing planning, vigilance, education and training. First you should firmly establish that your workplace culture does not tolerate people attending work under the influence. You can do this by making and displaying a set of workplace rules, introducing a wellness programme and training sessions about how to detect people under the influence. If your company is committed to creating a drug-free working environment then introduce your philosophy to employees from the very beginning. New employees need to understand the company’s policy before the first workday even begins. A growing number of companies are choosing to put significant effort towards improving communications with employees about workplace policies – as early as the interview stage. During interviews, you need to clearly outline your standards and expectations on drug use and testing. It’s critical at this stage to reiterate the importance of a drug-free workplace for health and safety. These first conversations with employees need to be consistent with your company’s written drug and alcohol policy, which needs to be unambiguous and regularly reviewed. And the rules and guidelines should outline reasons for drug testing, processes involved, and methods of assistance given to those employees who test positive or voluntarily admit they have issues. Get professional advice on drug screening employees. Put a regular testing programme in place and discuss what form of testing – whether it be hair testing, on site or lab-based urine testing or saliva testing can be set up to best meet a company’s needs and avoid legal grievances. Many safety-sensitive workplaces now lean on pre-employment testing as a prerequisite. It’s a good idea that a company states that pre-employment testing will be conducted when advertising the respective role. This makes it clear that an employer is committed to managing drugs and alcohol in the workplace and helps to make sure that potential employees are aware of your approach and policy from the start. It goes without saying that where pre-employment testing is used, wait until the test results are returned before making an offer of employment. This means there is no argument that an employment relationship is in place. Importantly, don’t take chances, or rely on DIY kits. Drug testing is a professional service that should be conducted by accredited companies and professionals because when done wrong it not only compromises employees’ safety but damages a company’s bottom line, or worse, its reputation. Companies trying to save money by doing their own staff drug testing put the business at risk by not correctly addressing workplace safety. DIY testing is fraught with legal and HR pitfalls and can lead to innocent staff losing jobs or employees under the influence going undetected – and potentially causing serious injuries or fatalities. The Australian FairWork Commission fairly recently ruled against a diagnostic services company, citing disciplinary process flaws, in a case with DIY drug testing. The company conducted a drug test on a female employee after being informed by her neighbour that she was under the influence of drugs. When asked to give a urine test the employee became agitated, claiming she had spent the morning trying to gain an Apprehended Violence Order against her neighbour. The employee left the building saying she would come back after lunch and never did. She was later called into a disciplinary meeting for failing to return for the test and her employment was terminated for serious misconduct. The FairWork Commission determined that while the company did have reasonable grounds for requesting a drug test, it was not best practice to take a drug sample from a person they work with and manage. Nor was the process to take the sample in line with Australian and New Zealand Standards. This reinforces the importance of using an independent and accredited tester when conducting drug and alcohol testing, best practice and knowledge of international standards is critical. It protects the interests of the employer and employee and guarantees accurate outcomes in a professional manner that will hold up in a court of law. Professional testing services also ensure that employees are treated with dignity, respect and that their privacy is protected at all times. The fairer and more professional a company’s approach is, the less likely that employees will perceive a drug testing regime as a negative programme or invasion of privacy. Companies need to remember that while testing can be used to identify those who come to work under the influence, it’s just as important to take a proactive approach by educating employees on the perils of drugs and alcohol in the workplace and reminding them to think of the consequences. There are many companies that offer employee training initiatives to help combat drug and alcohol abuse in the workplace. There are also organisations that train supervisors and managers to assist with identifying behaviours that indicate recent drug and alcohol use, and to keep pace with emerging trends in the drug market. These also offer advice on how to go about approaching an employee about suspicions they are under the influence. However, when selecting a provider be sure they have right accreditations, scale and track record for testing and education services to meet your business needs. Employers simply can’t afford to tolerate the effects that drug and alcohol use can have in the workplace. They can’t afford the lost productivity, and they can’t afford to risk other workers’ safety and livelihoods either. A robust drug testing programme plays a pivotal role in creating a successful drug-free working environment where people are safe, valued and abundantly productive.